Getting married in beautiful Bali and looking for a FUN activity for your pre wedding celebrations? 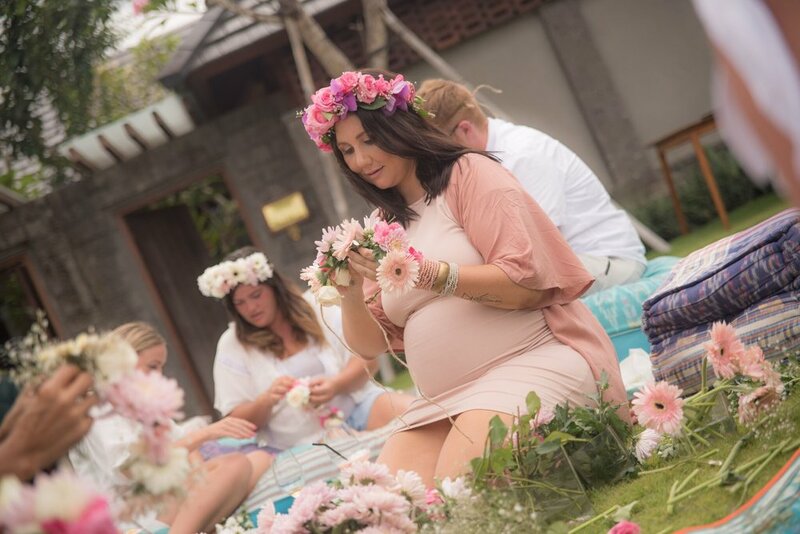 Having a Baby Shower and wanting something different for your guests to do? Or just looking for a fun girls activity for your holiday? WELL! A Flower Crown Workshop might just be for you! No experience is necessary, it's just about giving it a go and having fun. The best part is seeing the different crowns you all make, and getting to wear them for the entire day... hello custom made headpiece! You don't need to supply anything but yourselves! The workshop works well seated on the ground picnic-style, around a lounge in a villa, or even at a dinging room table for more comfort on the tooshie. Please contact me today for a personalised quote. Simply fill out the contact form below with as much info on your day as you can supply, such as location, amount of peeps you are expecting and I can give you a personalized quote. If you don't know all this info yet, that's ok, a rough guess is fine.